St. Patrick’s Day is approaching fast, and as someone with a lot of Irish blood flowing through my veins, I love to celebrate each year in two ways. First, I wear lots of green (nobody wants to get pinched!) and second, I make some fun St. Patrick’s Day themed food. It’s easy to make green desserts for the kids, but dinner time can be a little trickier. This year, I was on a mission to find a meal that everyone would LOVE (and eat!) that didn’t take me all day to plan or prepare. Because pre-dinner time is the busiest time in our house, I love finding meals that take some of the meal prep off my hands…especially when they taste THIS good. 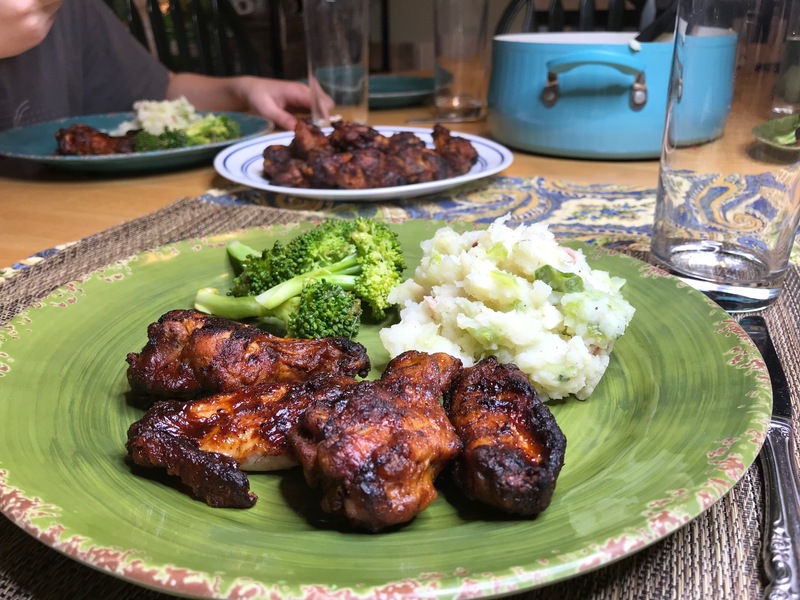 I grabbed two bags of the Bourbon BBQ Wings at the grocery store the other day (we have a big family – and teenagers – so I wanted to make sure we had plenty!). 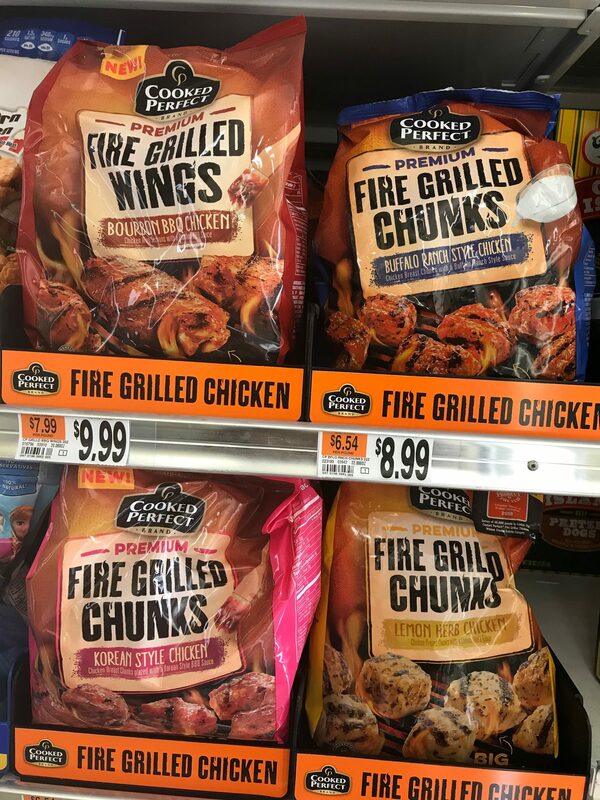 Cooked Perfect Fire Grilled Chicken comes in a variety of tasty flavors, and you can choose a variety of cuts as well, such as wings, tenders, drumsticks, thighs or chunks. I was drawn to the Bourbon BBQ because it’s a flavor I know everyone in the family already likes, but I could have easily gone with any of the other flavors, like Buffalo Ranch, Wildflower Honey BBQ, Lemon Herb, Zesty Herbs and Spice, Szechuan, Korean Style, or Classic Style. Seriously, my mouth is watering! 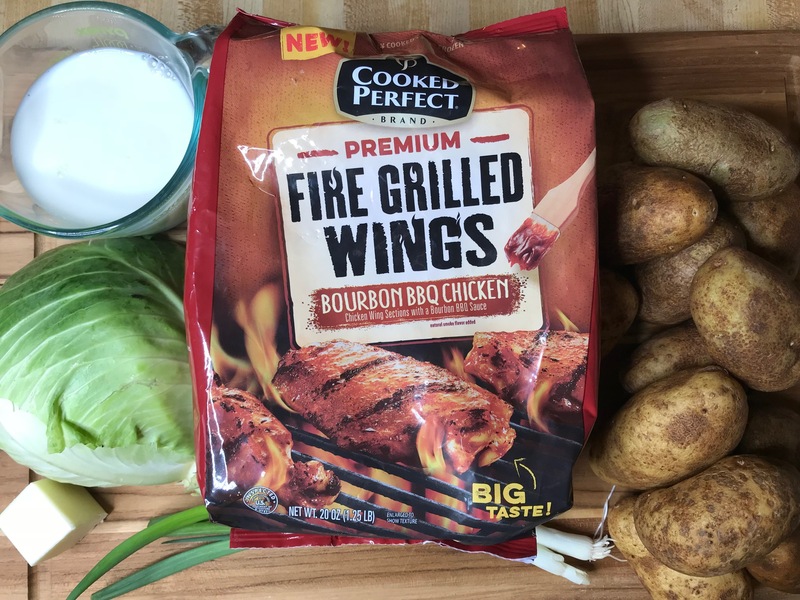 The best thing about Cooked Perfect Fire Grilled Chicken is that it is super flavorful, convenient and easy to prepare, and perfect for serving as-is with delicious sides. 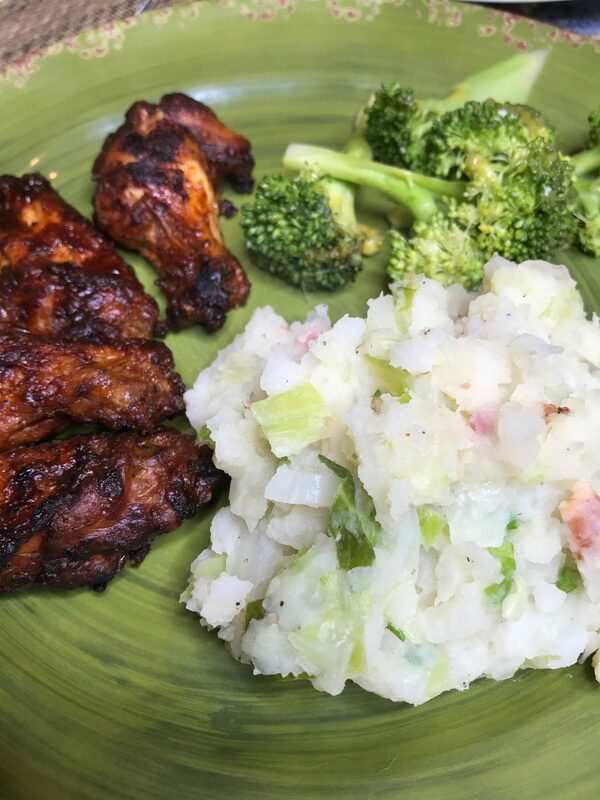 I decided to serve our Bourbon BBQ Chicken Wings with a side of broccoli and Irish-style mashed potatoes, or Colcannon. Did I mention that this meal was a hit? 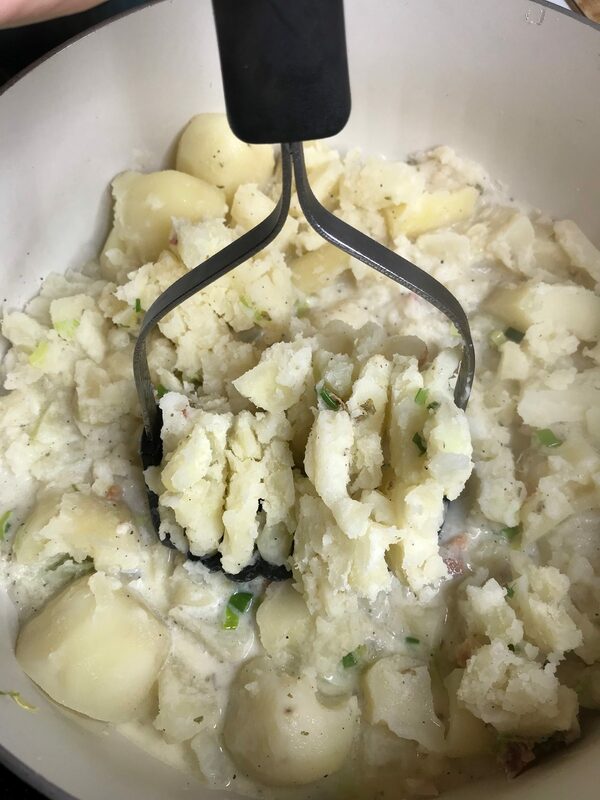 Our colcannon side dish was so tasty, and I got it ready while the chicken was in the oven. 1. Fill a large saucepan about 1/2 full with water; heat to boiling. Add chopped cabbage and bring to a boil. 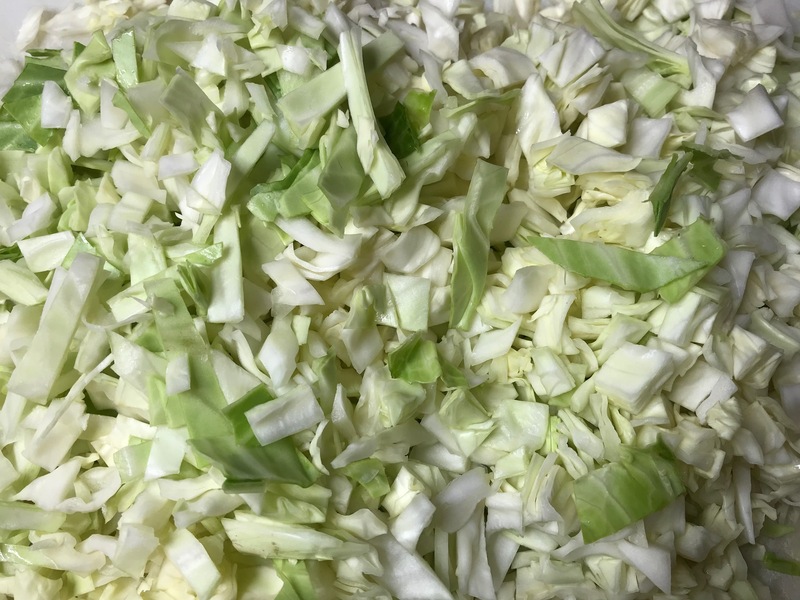 Reduce heat and simmer cabbage until tender, about 10 minutes. 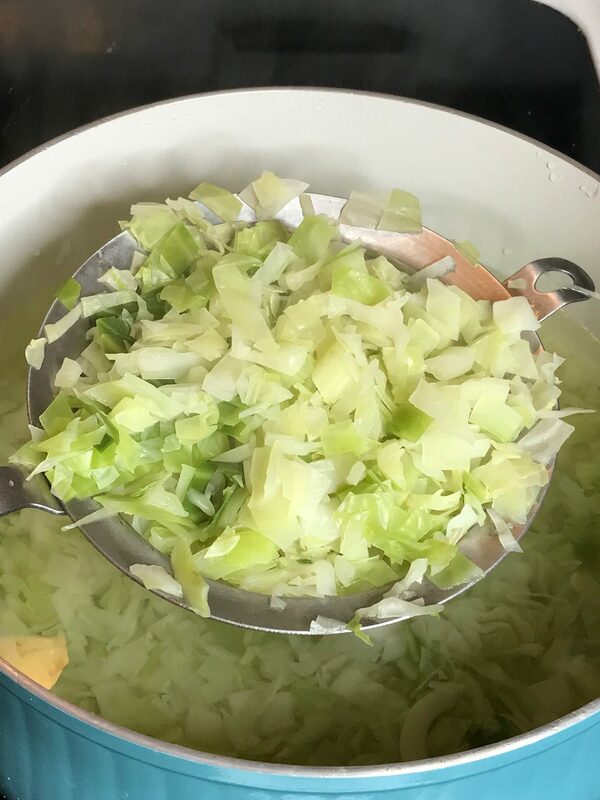 Drain and set cabbage aside, leaving the cooking liquid in the pan. 2. Add the potatoes to the hot water; add additional water if needed to cover the potatoes. 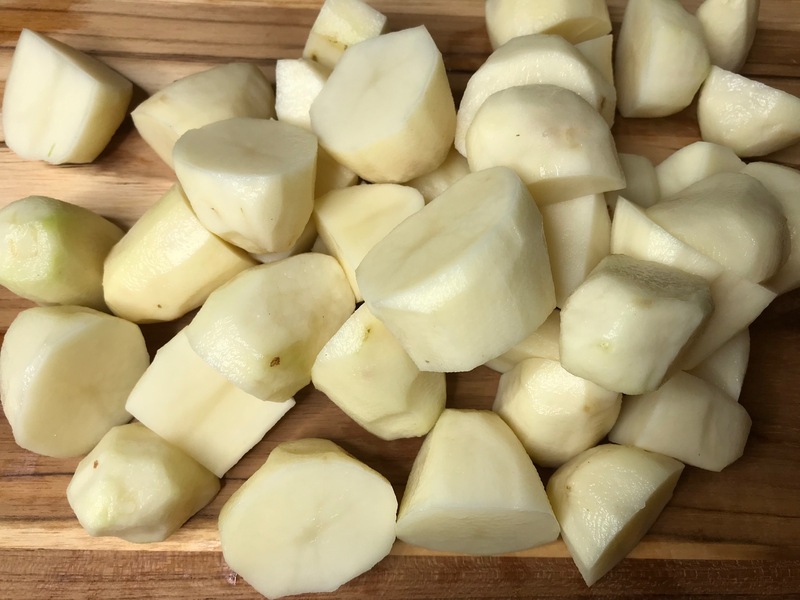 Bring to a boil, then reduce heat and cook until potatoes are fork-tender, about 15 minutes. Drain potatoes, then return them to the dry pot. 3. Meanwhile, heat butter and green onions in a medium saucepan for 2-3 minutes at medium heat. Add salt, pepper, parsley, and milk. Stir until heated through. Add bacon crumbles. 4. Stir hot milk mixture into drained potatoes. Add reserved cooked cabbage and mash together until mixed and smooth. 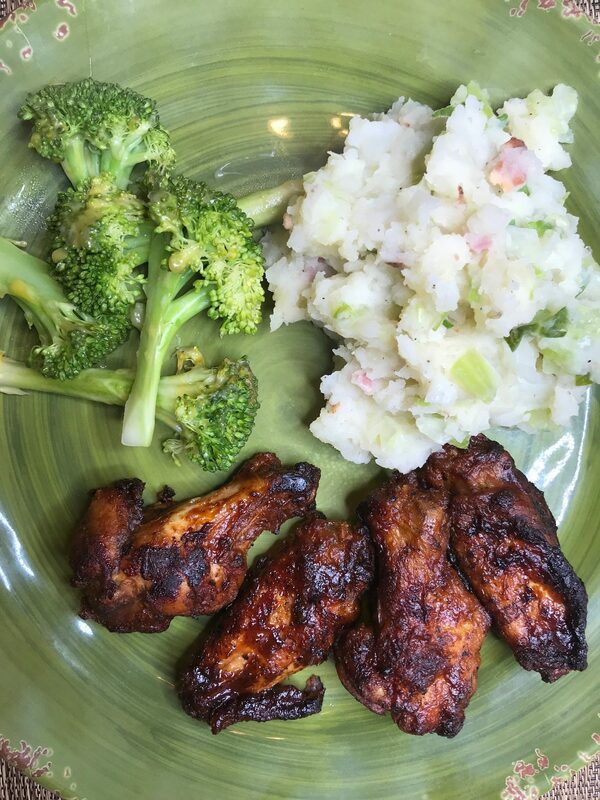 Serve hot with Cooked Perfect Fire Grilled Chicken for a perfect St. Patrick’s Day meal! I promise your family will not be disappointed! This looks and sounds so good. The chicken wings look just like you grilled them- I am impressed! I will have to try these myself. Amazing at how much time these could save, huh? I will have to trick my boyfriend, lol! This all looks delicous! I cant wait to try the Irish-style Mashed Potatoes! Thanks for the recipe!! Yum! What a great looking meal. The potatoes look yummy, I love cabbage. Thanks for the recipe, it looks so tasty! I have never heard of this recipe before and it sounds amazing thank you for sharing this one. This recipe looks delish! Pinning for later!! This looks absolutely delicious! 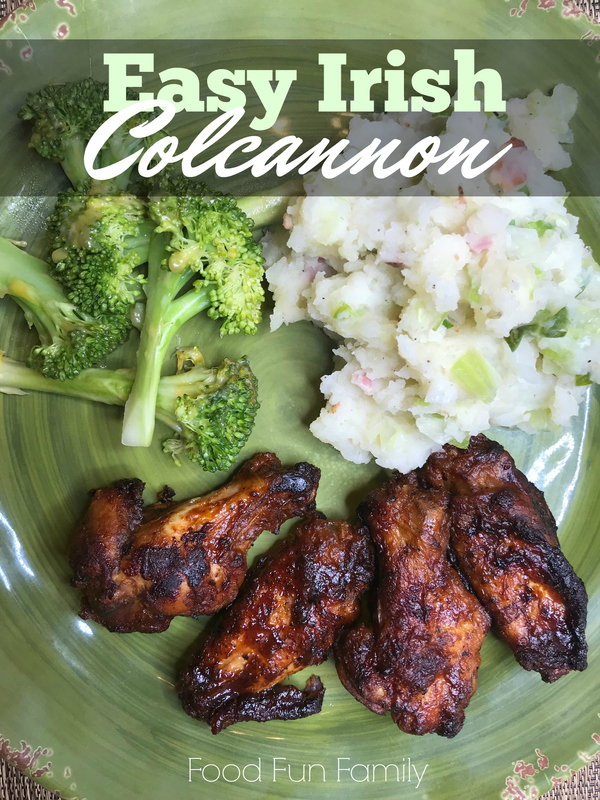 Our family is Irish American and we love making Irish inspired recipes during St. Paddy’s day! Me too! We have Irish blood coming from all the sides, so it’s fun to add a little bit of heritage into St. Patrick’s Day in the form of yummy foods! Those chicken wings look really good. I’ve tried frozen chicken wings in the past (different brand staring with a “T”) and they were really fat and greasy. 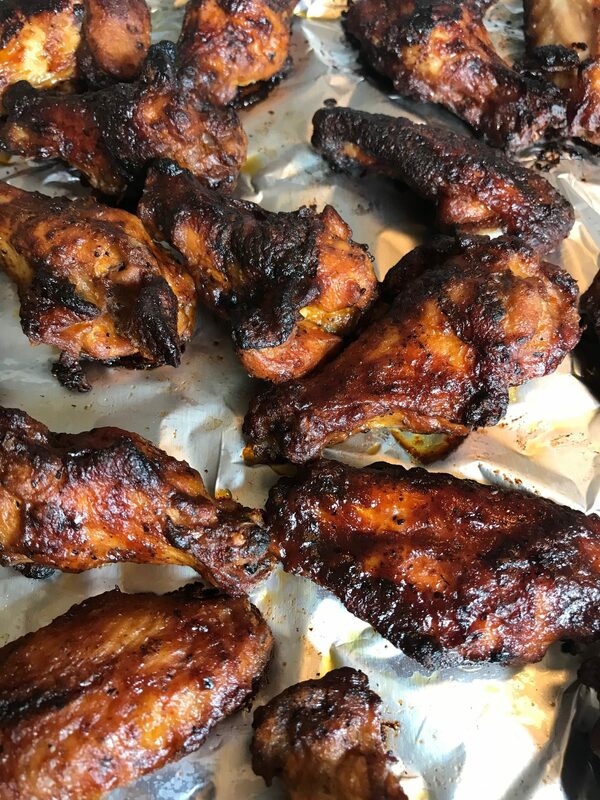 These “Cooked Perfect” wings look crispy and yummy. I also bought my head of cabbage for trying your recipe too. Thanks for the recipe and the coupon hookup!